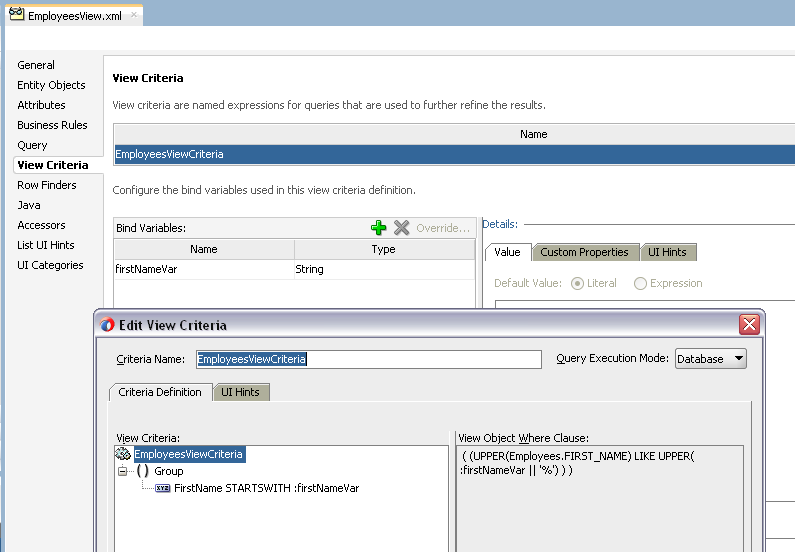 One of the new ADF BC features in ADF 12c - Row Finder. 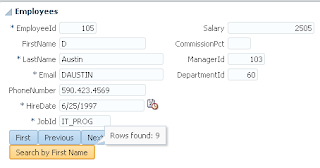 Row Finder acts as a helper for View Criteria to pass bind variable values and call query functionality. 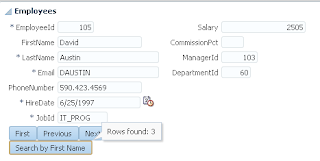 Important technical detail - instead of changing original rowset displayed on ADF UI, Row Finder creates and returns new rowset for results. 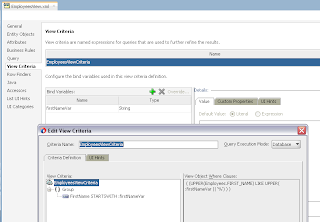 This allows to search and get results with the same VO instance in parallel to the data displayed on ADF UI, without affecting original rowset accessed through bindings. 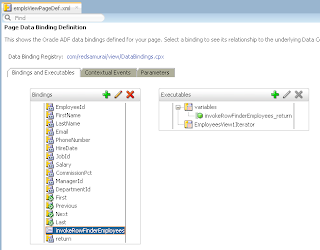 At the moment it is possible to invoke Row Finder only programmatically through ADF BC API. Here you can download sample application where Row Finder is implemented - RowFinderApp.zip. 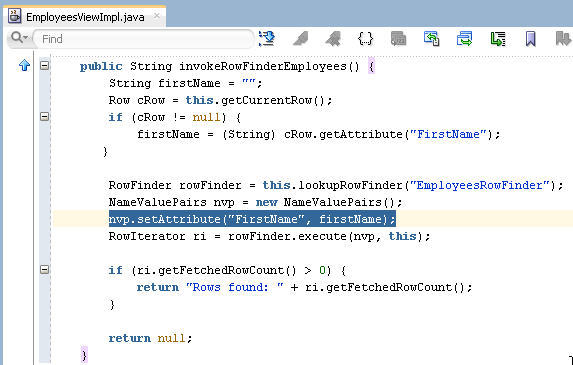 Later when invoking Row Finder through ADF BC API, we will need to set Attribute List with Attribute name and value pair. Thanks for update, this is correct. This sample was implemented with previous 12c release and I think there was no proper documentation at that time. 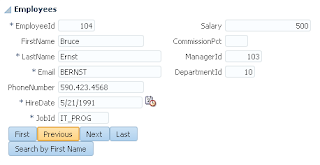 It doesnt seem to work if the criteria has a non-bind variable based criteria row. Is there any such known restriction if the criteria row has a condition based on a value instead of a bindVariable? Btw, if I modify the criteria row to use a bindvariable and have the variable value set by default, it works fine. 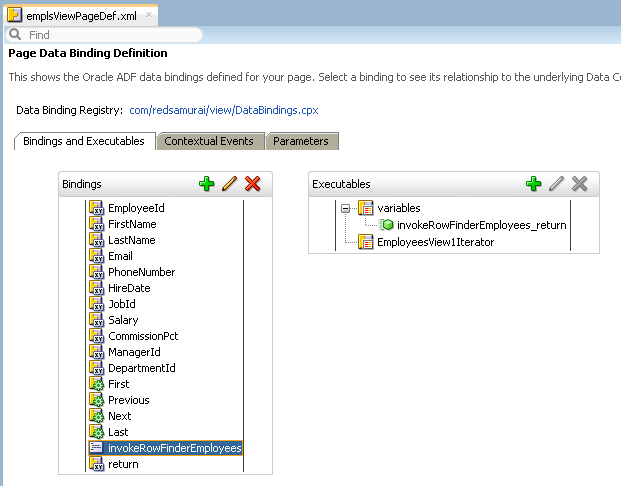 Is there any feature in ADF BC REST to require a parameter to a query (ex: required bind variables)? 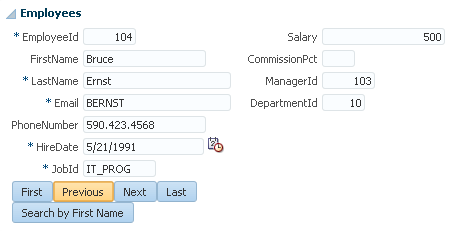 I'm able to create a required bind variable in my View Object but I cannot find a way to expose this in my service. 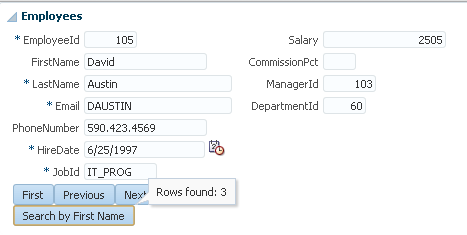 The Row Finder only works if we need to filter by one row.